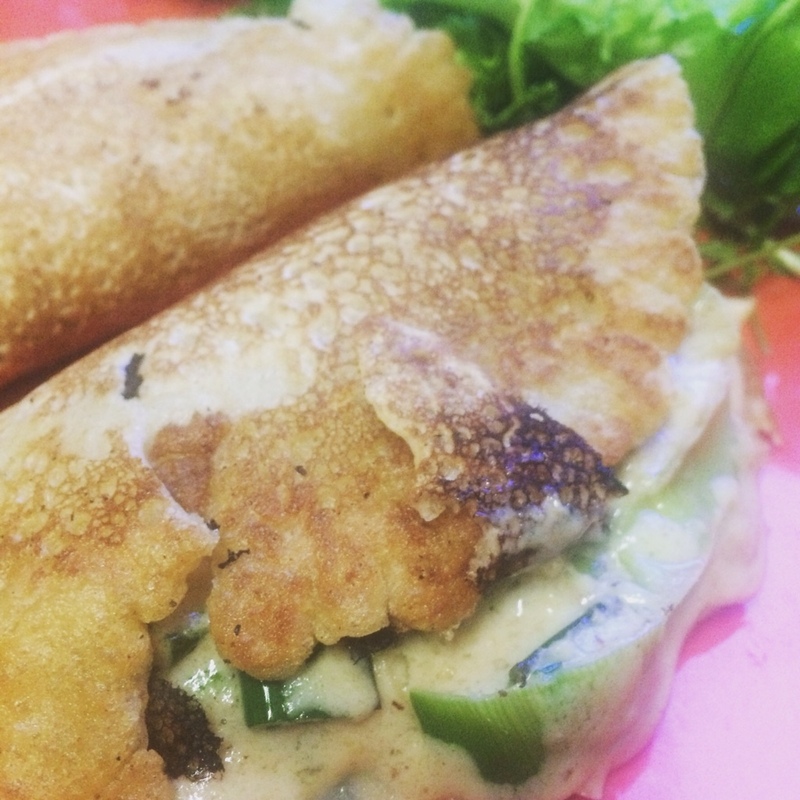 I love this recipe for chickpea cutlets from Veganomicon. 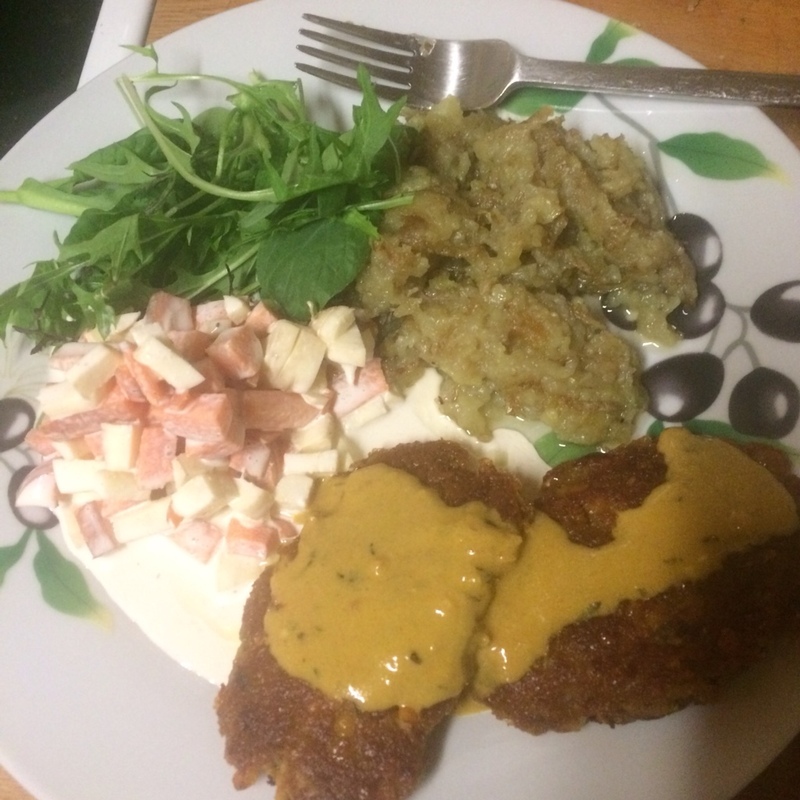 The mustard sauce which I haven’t bothered to make before is awesomely good. Usually I bake them but the oven was a bit full of other things for a pot luck. They are definitely chewier when baked. And I over cooked the the poodles (potato noodles). But my dinner guests seemed quite happy to chow down anyway. 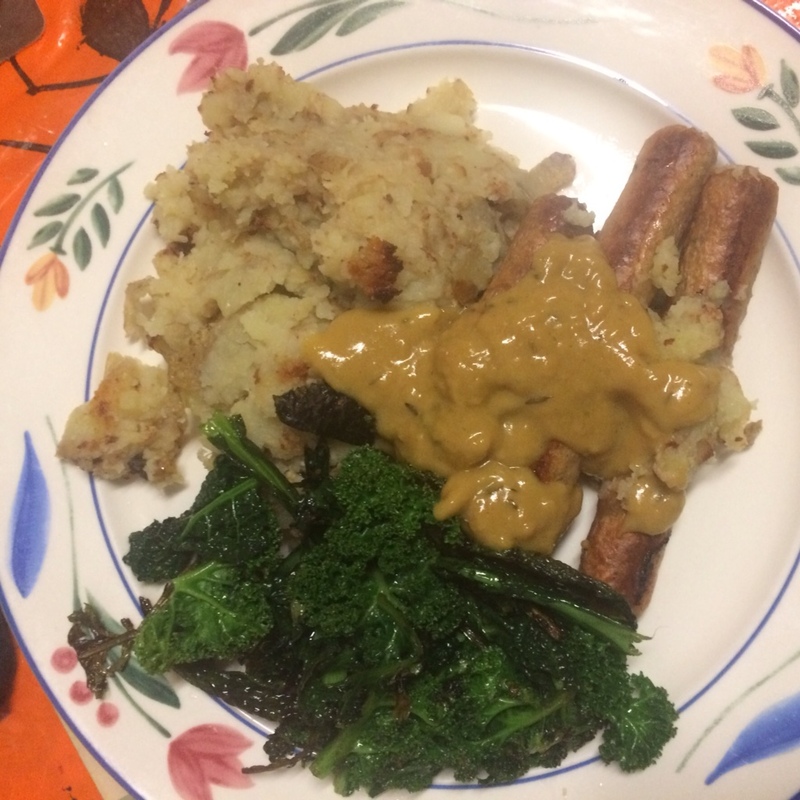 Turns out the mustard sauce also goes great with sausage, mash and kale. It was Shrove Tuesday. I had leek and some leftover cashew cheese so I combined the 2 and used the result to fill pancakes. I did manage a few sweet pancakes after band practice while we traded riddles. 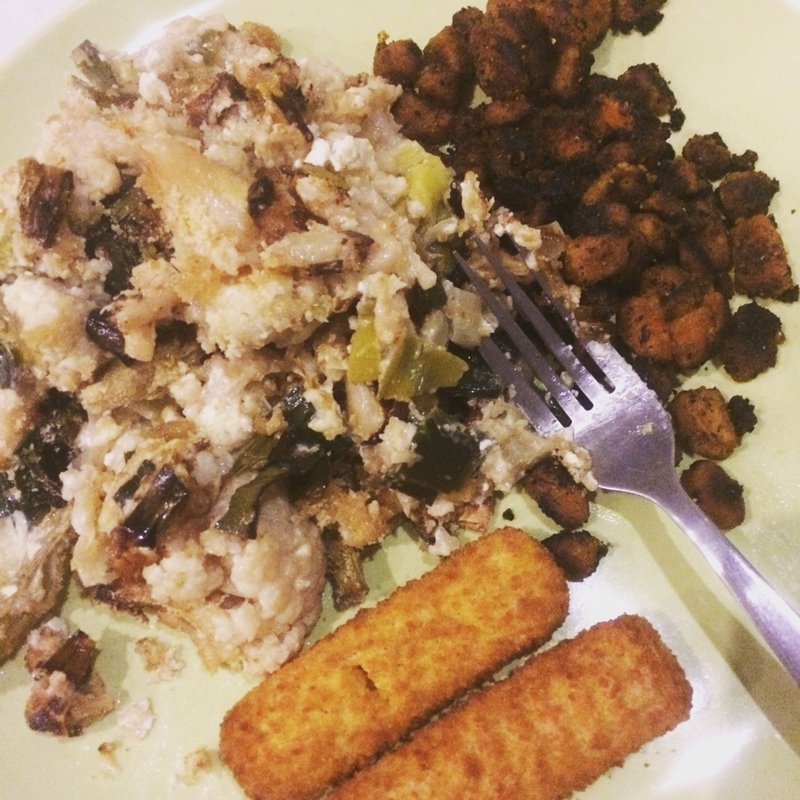 This cauliflower recipe is so easy. You mix cauliflower with mayo and then bake. Great for leftovers. The carrots are also a good leftovers dish. Next time I will coat in gram flour but they still came out pretty tasty. 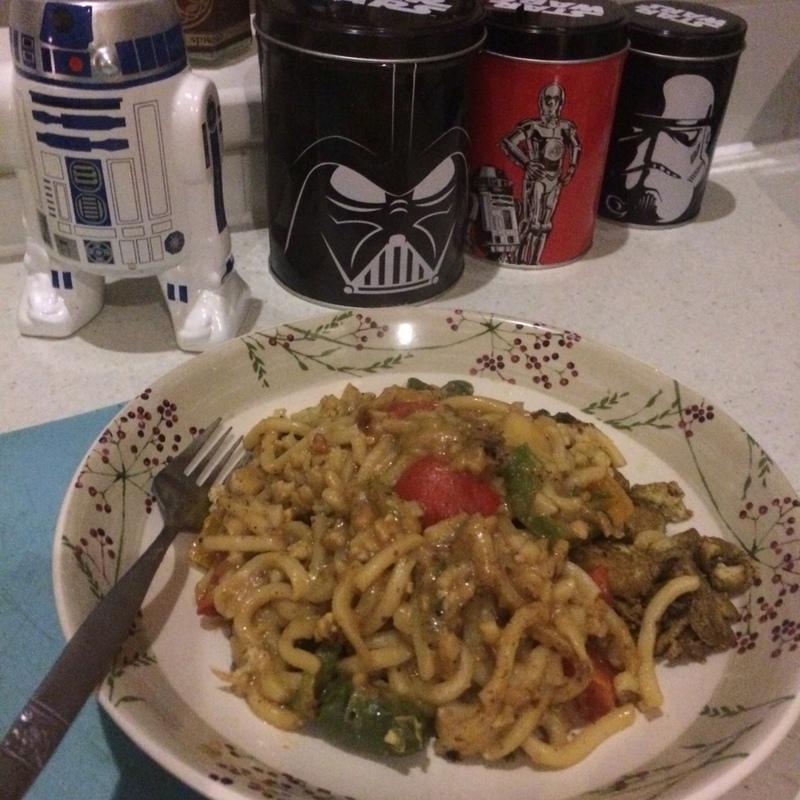 I took the last of the cauliflower and the end of a jar of peanut butter to create this satay noodle dish. Perfect for a post yoga dinner. 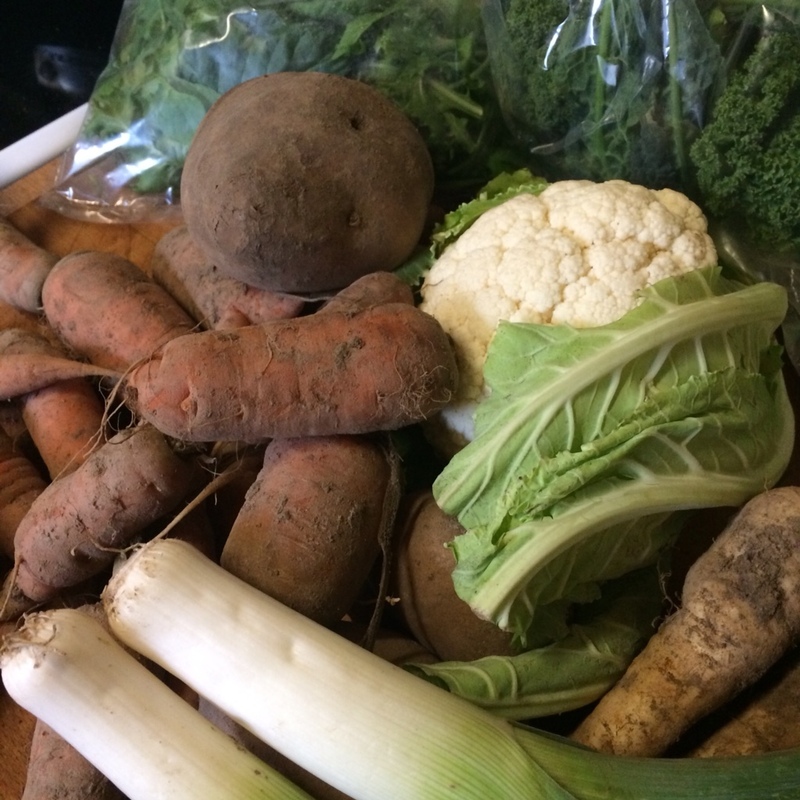 The increase in variety of veg makes me think the spring is one the way. What do you think?